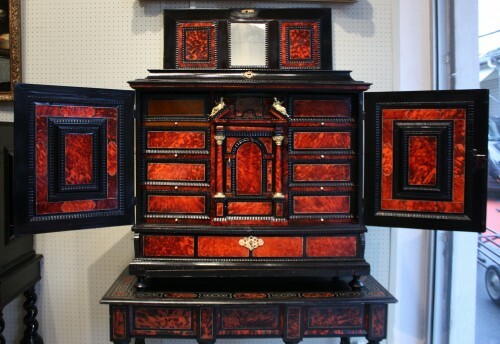 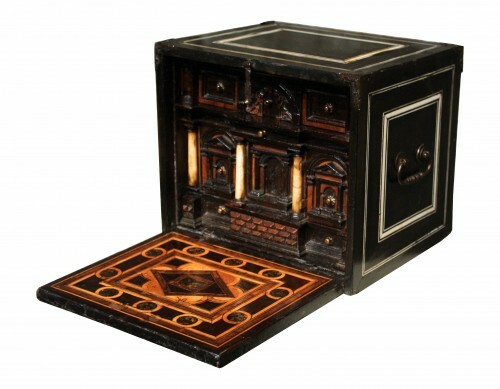 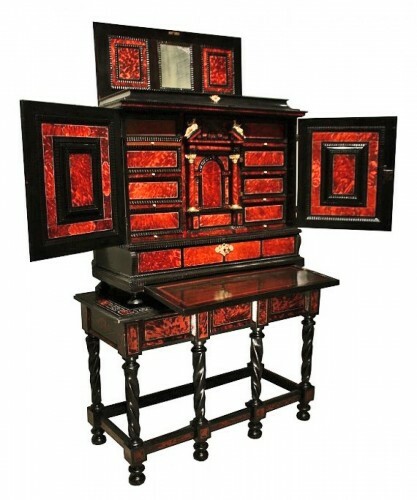 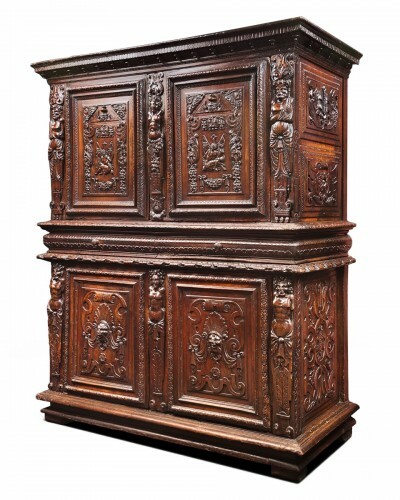 This cabinet inlaid with tortoiseshell and ebony opens wth two doors revealing 10 drawers inside, a top lid and a large front drawer. 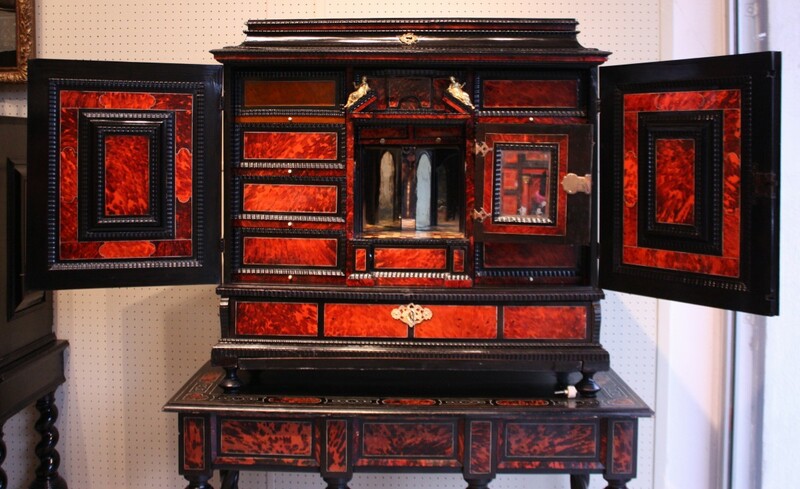 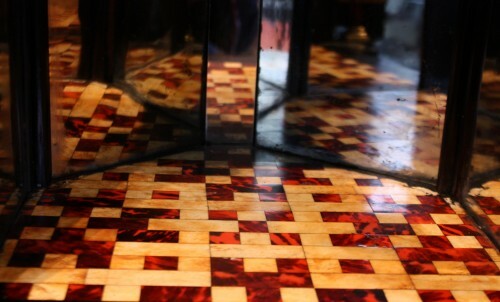 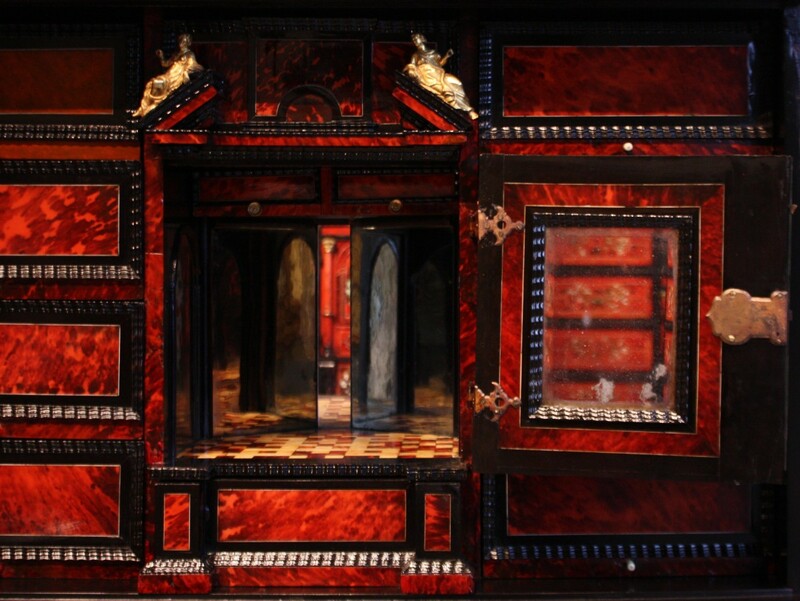 Doors are inlaid with tortoiseshell, ebony and ivory threads. 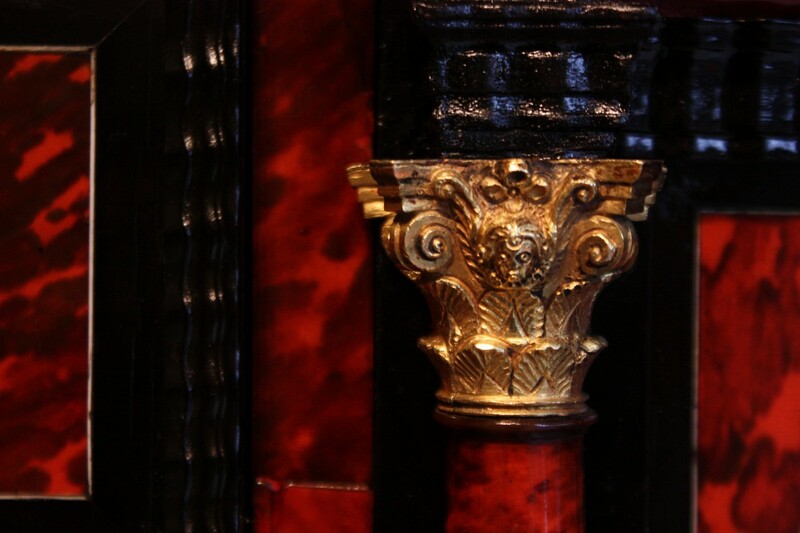 The central door adorned with two tortoiseshell columns opens to reveal the The alcove composed of mirrors and checkerboard ground made with tortoiseshell and ivory. 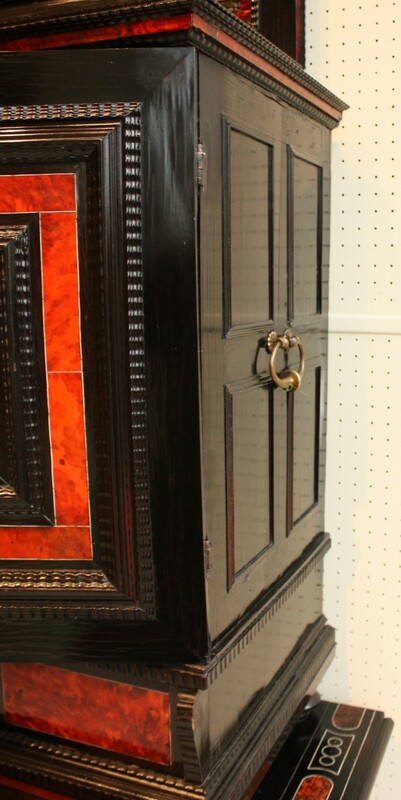 Both sides vennered with ebony have the handles. 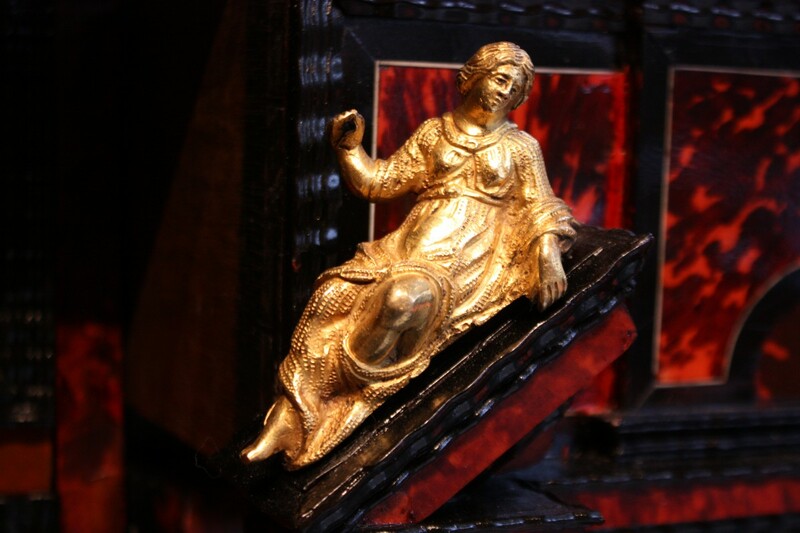 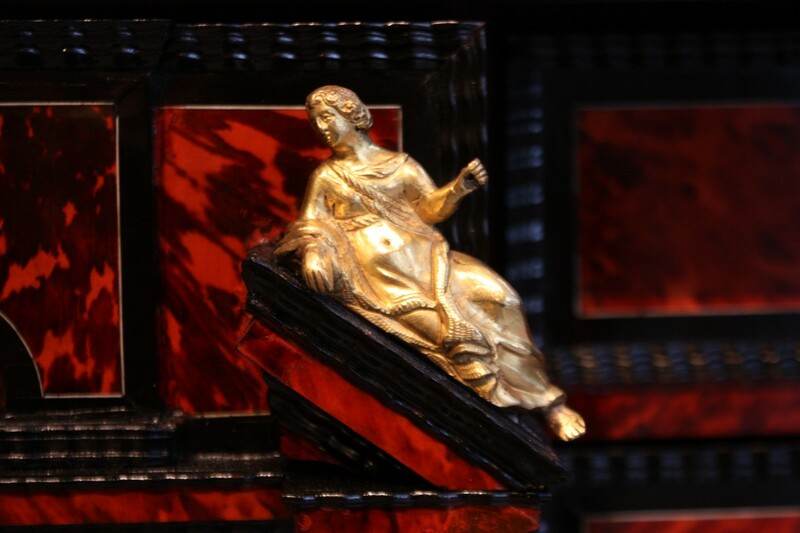 The stand is later, inlaid with ivory and tortoiseshell. 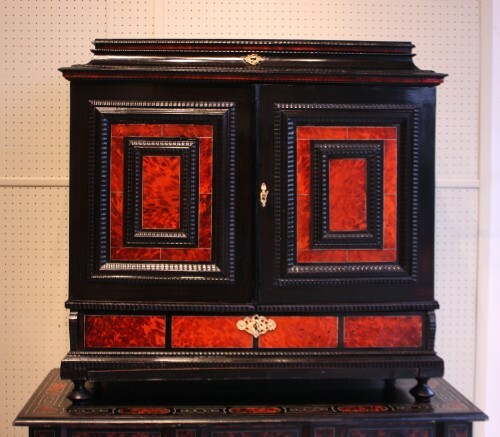 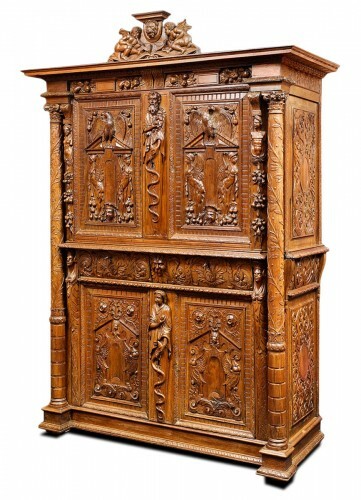 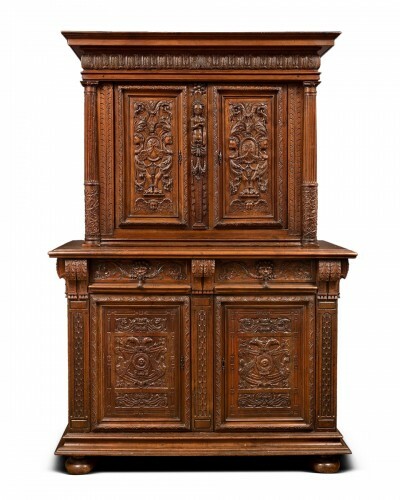 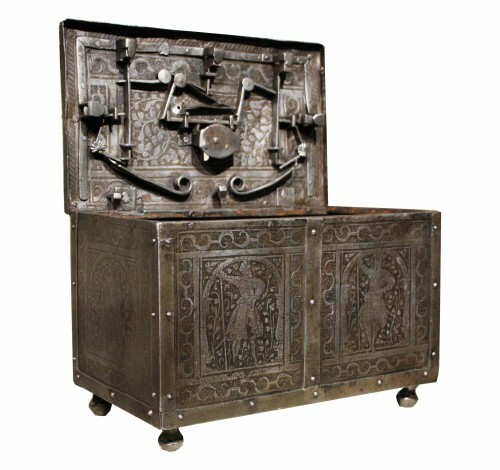 Dimensions: cabinet: h. 100 cm, l. 105 cm, 47 cm. 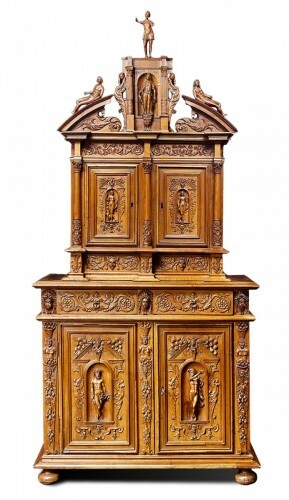 With stand: h. 184 cm, l. 125 cm, 55 cm.